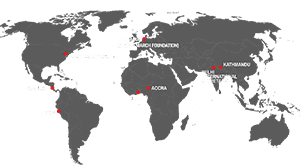 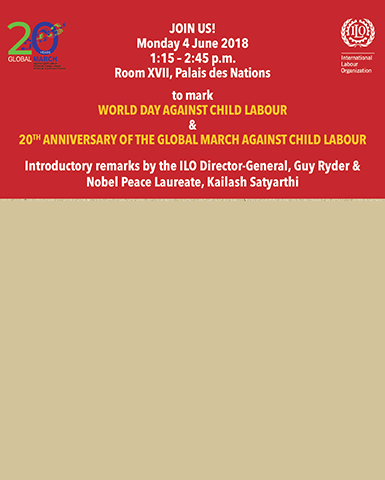 To mark this year’s World Day Against Child Labour as well as the 20th Anniversary of the Global March Against Child Labour (Global March), the International Labour Organization (ILO) and Global March and will organize a joint event on 4 June 2018 during the International Labour Conference (ILC) at the Palais des Nations, Geneva. 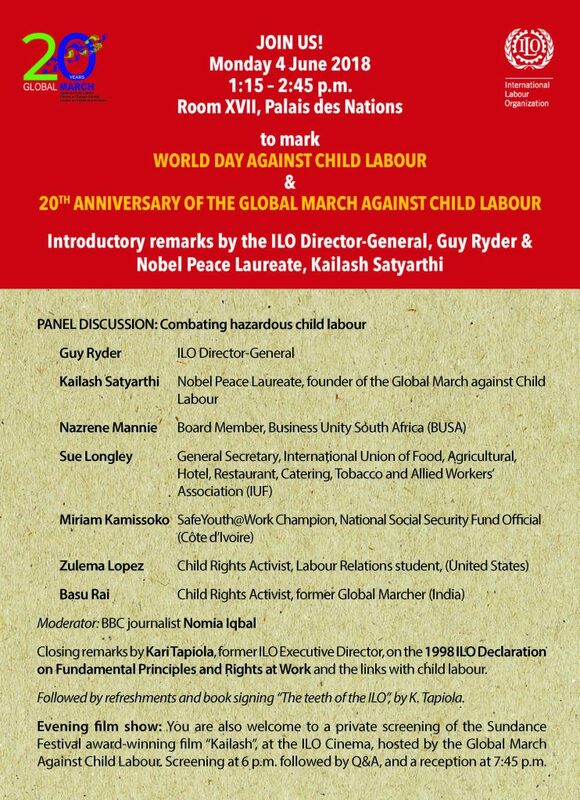 The event, in the form of a panel discussion, will see the participation of dignitaries and panellists including the ILO Director-General, Mr Guy Ryder, Nobel Peace Laureate, Mr Kailash Satyarthi, Global March youth, a SafeYouth@Work champion, as well as workers’ and employers’ representatives. 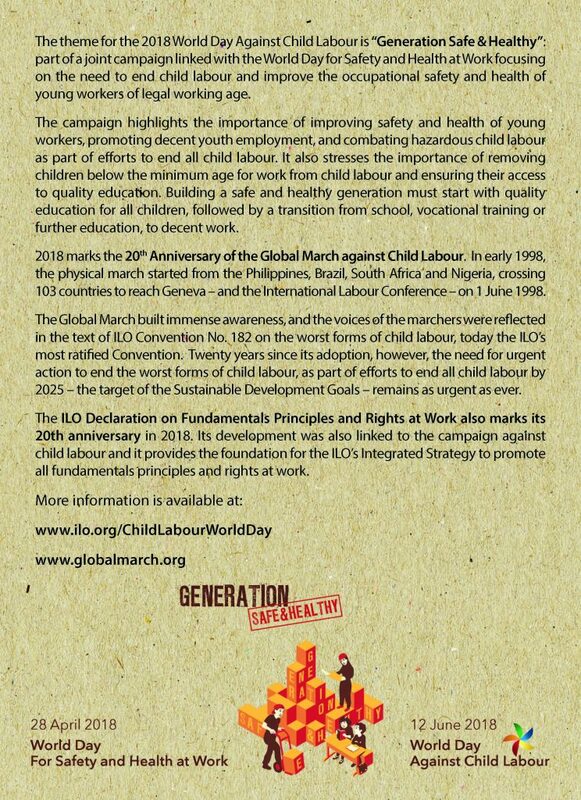 Given the “Generation Safe & Healthy” thematic focus of the World Day in 2018 and in light of the Global March 20th Anniversary, the panel discussion will focus on the need for accelerated action to end hazardous child labour and improve the safety and health of young workers of legal working age, with a particular focus on the situation of girls in child labour and young female workers.